Cricket Pakistan | Will Lahore Qalandars be fourth time lucky? 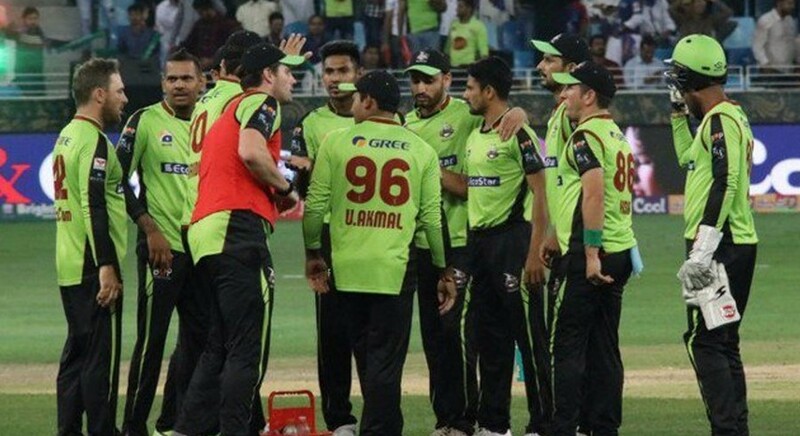 Lahore Qalandars are perhaps the most followed Pakistan Super League (PSL) franchise in the country and that is because they’ve proved time and again that they are the most consistent team in the tournament. Unfortunately that consistency has always come at the wrong side of the table, as they’ve finished last in all of three editions. The franchise, which is named after the capital of the province of Punjab, has only managed to win eight matches out of a total of 26 — a tally which made the hierarchy make wholesale changes in the squad for the upcoming edition. As many as 16 new faces will be in contention to represent Qalandars this season, which is why a much-improved show is expected from the team in PSL4. The team will be captained by Pakistan veteran all-rounder Mohammad Hafeez, who has the experience of playing 256 T20s in his career, where he has scored 5,394 runs at an average of 24.51 and has also claimed 162 wickets. Qalandars have always found themselves wanting in the previous editions, either with the bat or with the ball, and it felt that they were a player short in both of these departments at crucial times. However, this time around, the management has turned their focus on having a team full of all-rounders, which is why their balance looks the best on paper. Likes of Hafeez, New Zealand duo of Anton Devcich and Corey Anderson, West Indies captain Carlos Brathwaite, young Hassan Khan and South Africa’s David Wiese are not only players who can offer with both bat and all but they are all different in their own manner, something which will add value to the Qalandars’ squad in the competition. With all of those options on the table, Hafeez will feel that Qalandars have enough resources to produce positive results on the pitch this time around. Lahore Qalandars’ squad gives you the feeling that they have all their bases covered — at least on the paper. However, their spin department is something which can be exploited by the other teams. The team will have the services of Pakistan leg-spinner Yasir Shah, Nepal’s young sensation Sandeep Lamichhane and young left-arm spinner Hassan. Some people will say that those options look decent enough but that might not be the case in the competition as Shah has not really established himself as a champion spinner in the shorter formats, while Lamichhane will be playing in his debut season — that too against players who are normally better players of spin — and Hassan is an intelligent but very limited spinner as he showed in the previous season with the Quetta Gladiators. Shaheen Afridi’s rise from a rookie in the PSL last year to one of the best young bowlers around is worth taking note of. The left-armer started the previous tournament as someone who was tipped as the next big thing and was identified as an extremely talented bowler. But 12 months later, the Khyber Agency-born pacer is one of the leading pacers in the country. The 18-year-old has the experience of playing three Tests, 10 ODIs and nine T20Is for Pakistan where he has collectively claimed 44 wickets, which shows he will be a different bowler all together in the coming season. Shaheen claimed seven wickets in seven outings in PSL season three at an average of 28.14 and strike-rate of 8.32. Hafeez will be leading the side for the first time in the PSL and Qalandars will be hoping that he can help the team in producing much better results than they did in previous three editions. The 38-year-old has the experience of leading Pakistan cricket team in T20Is and guided the Men in Green to World T20 semi-finals. His captaincy style is based on planning than instincts and therefore, it will be less expansive and more realistic. As far as his batting is concerned, Hafeez is expected to fill the middle-order role where he had relative success in the recent past. Overseas: AB de Villiers (South Africa), Carlos Brathwaite (West Indies), Corey Anderson (New Zealand), Sandeep Lamichhanne (Nepal), Anton Devcich (New Zealand) and Brendan Taylor (Zimbabwe). Local: Mohammad Hafeez, Fakhar Zaman, Yasir Shah, Rahat Ali, Agha Salman, Sohail Akhtar, Hassan Khan, Shaheen Shah Afridi, Haris Sohail, Mohammad Imran, Maaz Khan, Gauhar Ali, Aizaz Cheema, Haris Rauf and Saad Ali.